Happiness is a hard thing to gauge. It can change from day to day, moment to moment. The choices we make and actions we take affect our feelings of satisfaction. How much time do you spend doing things that make you happy? A key step towards attaining satisfaction is understanding the importance of the personal and professional choices you’ve made that keep you content. It’s easy to say that you are happy when you’re spending time with people that mean a lot to you or on a summer vacation away from stress, but does your day to day life make you happy? We tend to spend 40 plus hours in our work environment and even more thinking about work activities. You have a significant amount of time and energy invested in your job. How is it affecting you? Negative feelings toward your profession have overarching consequences. Unhappy workers can develop health issues, both mild and severe. Common symptoms are stress, anxiety, and loss of sleep. Other larger consequences include unhealthy weight gain, lowered immune system, and ruined relationships. 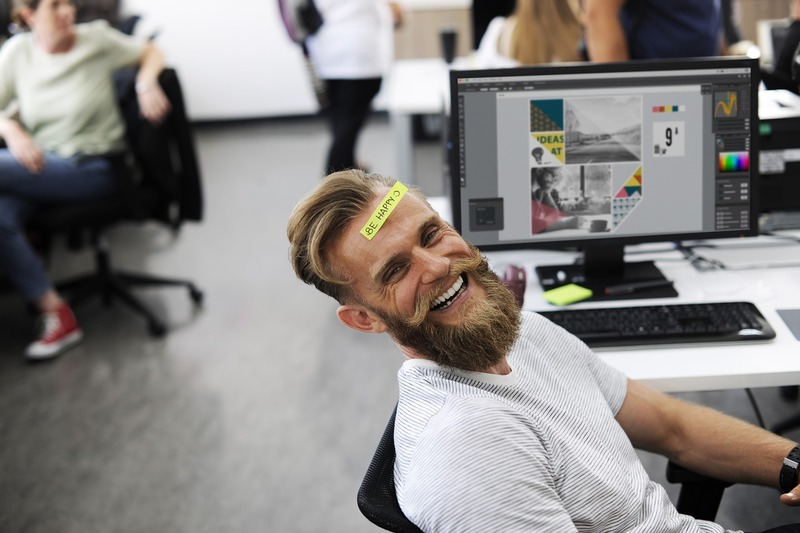 It’s clear that being happy at work doesn’t just affect your feeling of fulfillment inside the office, but in all aspects your life. Work is not an easy thing to compartmentalize, as much as we may try. Your health and personal relationships are influenced by your day to day activities at work. Your happiness should not be something you sacrifice for your job. It’s your responsibility to raise issues you may have or make the necessary change. EBI was interested in what demographic was more likely to be happy with their work so they surveyed 2,000 people. The results yielded that a majority of people loved their job! This infographic depicts the conclusions they arrived at.